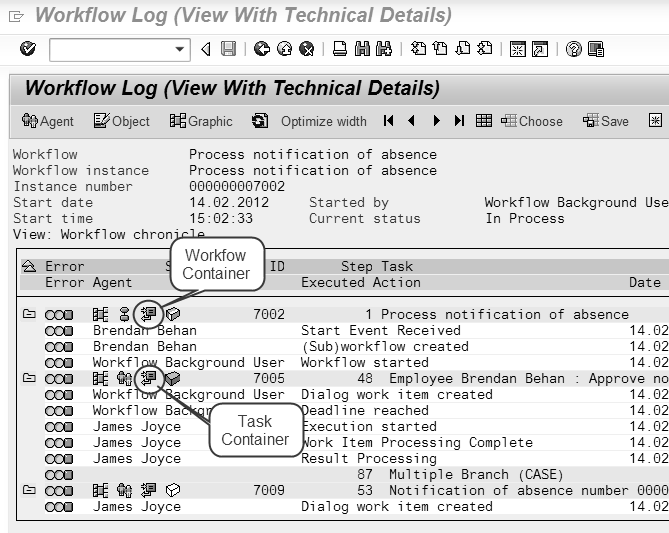 WF_LOG stands for Workflow Log files. It contains the full log data of each work item execution . Here is some important facts for your reference about these log files. The function module FUNCTION_PRO CESS_WF_LOG is used for displaying the Workflow Log files . A user can be configure the functionality of WF log files in “personal workflow settings”.